• Back-up lining of boilers and heat exchangers lining in glass furnaces Blast furnace stoves, forging furnaces, acid storage tank, etc. Withstand various attacks from volatile matters e.g. ash from coal, lignite, fuel oil, etc. Transition and cooling zones of rotary cement kilns, lime kilns, etc. Lower sidewall and bottom of aluminum refining, melting furnaces, etc. 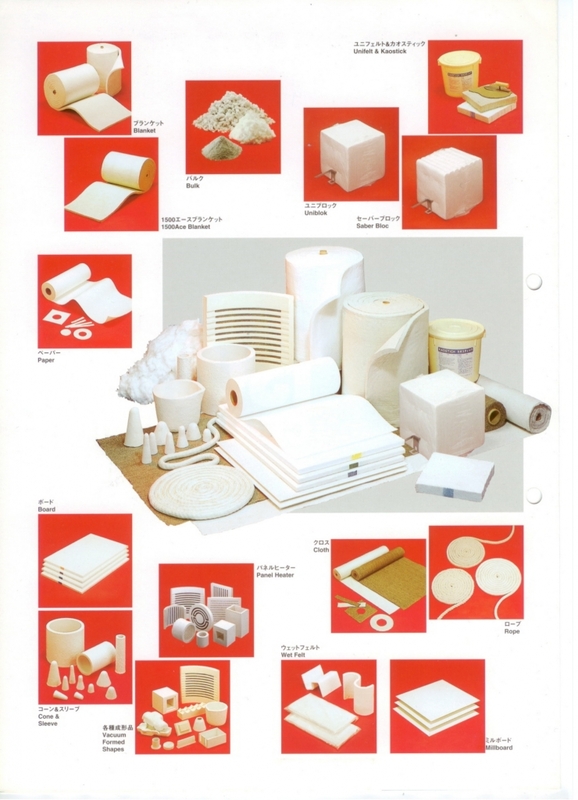 Back-up linings for fireclay and high alumina bricks in boilers, ceramic kilns, reheating furnaces, glass furnaces, periodic kilns, high efficiency incinerators, etc. Back-up linings of cyclone preheaters and clinker coolers in cement plant, hot gas generators, hot air ducts, stacks, floor lining for kiln cars, etc. 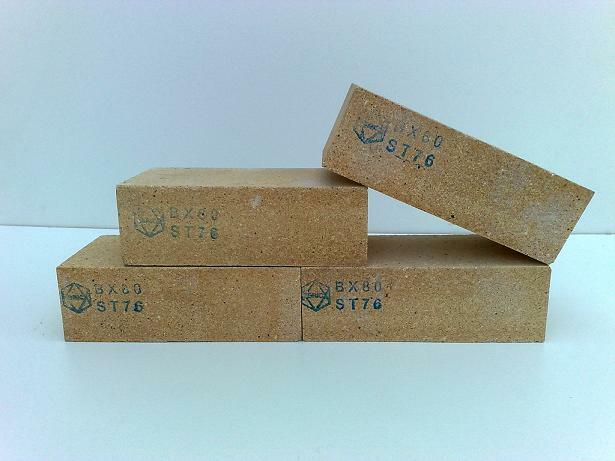 For bonding the individual refractory bricks and protecting the joints form corrosive by slag and other fluxes. 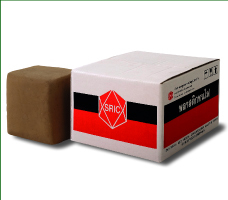 Provide a better conditions with fewer joints in where refractory bricks are incapable. 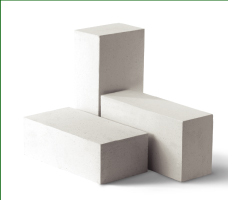 Castable is an alternative to fireclay bricks and high alumina for applications such as sidewalls, arc furnaces roofs, boilers, heat exchangers, bubbling lances, glass furnaces, reheating furnaces and blast furnaces in conditions requiring extra strength. Applicable for cyclone preheatings of cement kilns, burner pipes, nose rings, clinker coolers of cement process, stacks, sub-bottoms of various type of furnaces, etc. 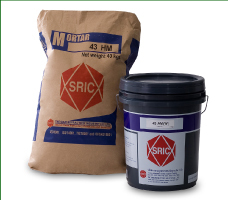 High resistance to corrosive reaction of chemical substances, basic slag, solid or liquid oxides, dusts and fumes. 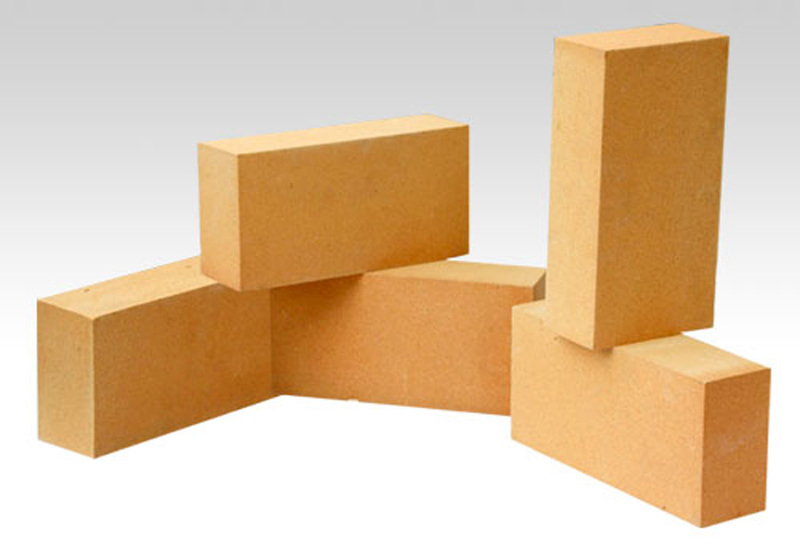 High-fire brick providing high hot strength as well as good thermal spalling and abrasion and liquid metal penetration resistance. Magnesia bricks, Magenesia-Chrome bricks, Magesia-Spinel bricks and Magnesia-Carbon bricks are available. For lower & upper transition zone and burning zone of rotary cement kilns and lime kilns. Applicable for ladle furnace in iron and steel industry. Applicable for non-ferrous industry such as lead, tin, etc. wet glass furnaces, etc. A mix of high quality refractory grains with special binders. Good abrasion resistance and high thermal conductivity. Generally applied with gunning machines to save time and installation costs. Used for maintenance of many industrial furnace linings, where repairs need to be made with little or no downtime. General hot repairing for open-hearth furnaces, electric arc furnaces, eccentric bottom tapping furnaces, ladles torpedo or transfer cars, etc. Used for difficult service conditions such as incinerators, heating chambers, fluidized- bed catalytics, cracking process transfer lines, etc. Excellent resistance to basic slag and to thermal spalling at high temperatures. Suitable for forming dense monolithic lining at hearth in electric arc furnaces. Casted and vibrated almost by the same style as ordinary concrete. High refractoriness, excellent volume stability and good resistance to various fluxes found in iron and steel furnaces. Applied for working lining for healths of electric arc furnaces’ hearths where high iron oxide slags (basic to neutral) are especially corrosive. Provide high strength, high density and low shrinkage combined with excellent volume stability throughout the entire temperature ranges. Highly resistance to thermal spalling and many types of acid slags. Both heat-setting and air-setting types are available. For forming refractory monolithic lining in various kinds of furnaces. Easily rammed to any shape or contour with pneumatic. hammers, but may also be pounded into place with a mallet. For high temperature steel plant service, burner block, roofs and sidewall as well as reheating furnace. 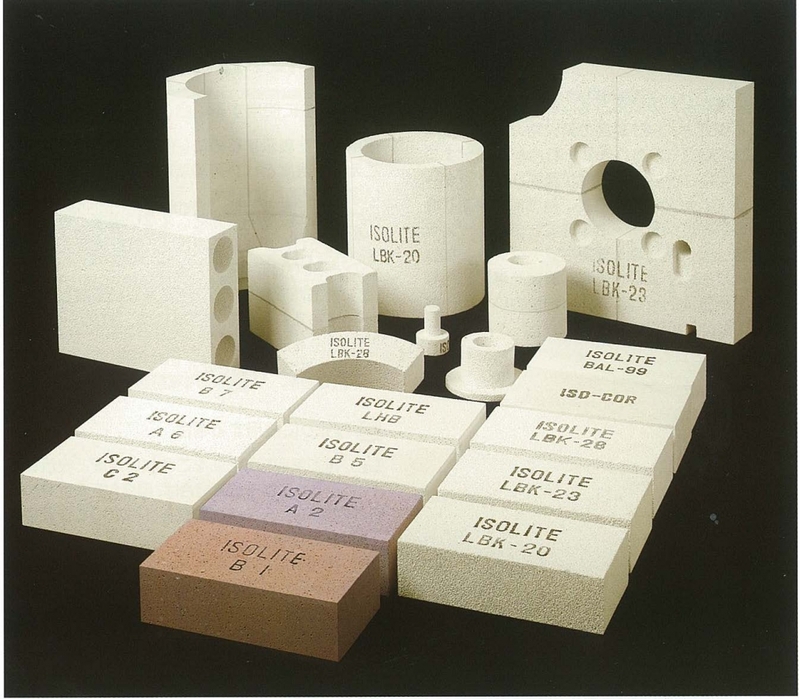 Calcium silicate are premoulded thermal insulation products composed of hydrated xonolite crystals and supplemented by non-asbestos fibers as binder. 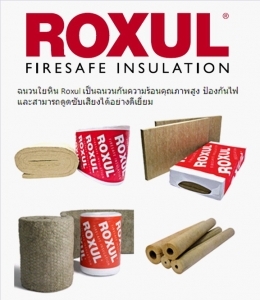 The material is specially developed to provide effective and economical thermal insulation and fire proofing for wide range of piping and equipment applications. Calcium silicate are widely applied in chemical processing plants, petroleum refineries, power stations, ship buildings and other industrial installation, where heat energy saving is of vital necessity.